Protected World Insurance Agency now sells Safeco Insurance® products, providing new options for Ohio and Michigan customers. “Safeco Insurance products are sold exclusively through independent agents because we believe getting expert advice from a local advisor you can trust is one of the best ways to shop for personal insurance,” said Matthew Nickerson, president of Safeco Insurance. “We partner with some of the best agents in the country who are committed to working with Safeco to protect what matters most to customers.” To be appointed by Safeco Insurance, an agency must meet eligibility and quality standards. Protected World Insurance Agency is located in Upper Arlington, Ohio - and can be reached at (614) 488-2700. In business since 1923 and based in Boston, Mass., Safeco Insurance sells personal automobile, homeowners and specialty products through a network of more than 10,000 independent insurance agencies throughout the United States. 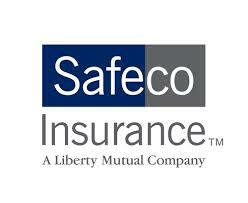 Safeco is a Liberty Mutual Insurance company. Boston-based Liberty Mutual Insurance is a diversified insurer and the third largest property and casualty insurer in the U.S. based on 2013 direct premiums written as reported by the National Association of Insurance Commissioners. Liberty Mutual Insurance also ranks 78th on the Fortune 100 list of largest U.S. corporations, based on 2014 revenue. For more information about Safeco Insurance, go to safeco.com.